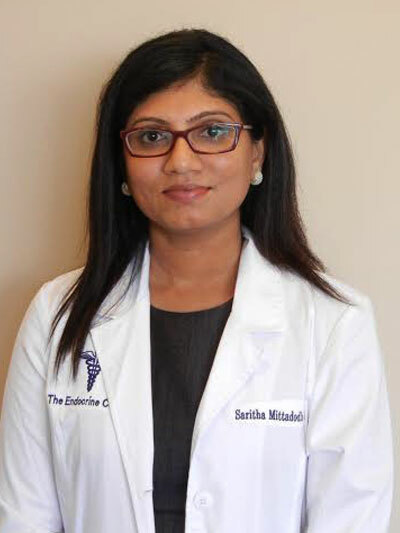 Dr. Mittadodla recently relocated to Houston with her husband and two small children following the completion of her Fellowship at Oklahoma University Health Science Center. Although she is new to the Houston Area, she is not new to the field of Endocrinology. Dr Mittadodla has a passion and the expertise for treating patients with Thyroid disorders, Diabetes, Osteoporosis, and Adrenal and Pituitary Gland disorders.